Sue Kato was a self-identified tomboy as a child. She grew up in Platte, Nebraska in what she perceived as a diverse community for its size. She lost her mother at a young age and her father was a farmer with land in Colorado and who was a share-farmer in Platte. She attended Japanese language school in the summer months and wore a lot of denim, well, because she liked to play. In high school she became active in the Girl Reserve, Latin Club and Pep Club. In Girl Reserve, she got a knack for stamp collecting, which later translated into a hobby for scrapbooking. I am thankful that she developed this hobby and you will understand why in a few moments. After high school she was a bookkeeper at a tire re-tracking business at which point she decided she wanted join the Women’s Army Air Corps. She did not initially hear back from the army and later learned that the renamed Women’s Army Corp was now accepting applications from Nisei women, she reapplied and began her service on December 13, 1943. Fast-forward seventy three years and imagine you are a historic investigator, someone who is looking to understand and share the Japanese American experience in World War Two with anyone and everyone. Now, imagine coming across this very large scrapbook, obviously aged and with a note, “Donated by Sue Kato.” In addition to being an investigator, you also are someone who works with the largest Japanese American Nisei veteran oral history collection known in the world, so first order of business—do we have an oral history for this woman? Yes! You try to contain your excitement. You open this scrapbook and see layers upon layers on every page. There are letters, faded handwritten notes on the scrapbook pages, Women Army Corps brochures and pamphlets, newspaper articles, currency, V-Mail, programs for musical performances, original photographs of Women Army Corps’ members and all of these are intact and little sign of use. Some of these letters are on rice paper, folded meticulously and you do not dare try to unfold it no matter your excitement; you know it is too fragile. Sue Kato spent three years in the Women Army Corps. Basic training began in Fort Des Moines, Iowa, followed by Fort Devens, Massachusetts and language training at Fort Snelling, a stint at Camp Richard, Maryland and finally to Fort Myers where she was part of an allied forces translation team. Sue Kato in WAC uniform. Photo courtesy of http://www.discovernikkei.org. Kato recalls another incident walking into a military hospital. Come back with me again to 2016 and now you have seen this oral history and you have only scratched the surface of this scrapbook. You now have the tools to share this knowledge with others. This rich content is exactly what people in my field live to experience and we cherish any opportunity to share. Sue Kato was a courageous woman who volunteered because she felt compelled to serve her country first as a clerk and then as a translator. She lived a life of service working for the City of Long Beach. Sue Kato was born in 1921 and passed in 2011, but we will continue to share her legacy in the archives. Yesterday morning, as I was scrolling across the news of the day and having my morning coffee, I saw something that caught my eye and gave me pause. September 7th would have been the 92nd birthday of 442nd veteran and U.S. Senator (D-HI) Daniel K. Inouye. The realization did not shock me with surprise, as Senator Inouye unfortunately passed away four years ago in 2012. Instead, my thoughts fully deviated to him more due to remembering what he, along with so many more Nisei veterans, accomplished during their lifetimes. Daniel Ken Inouye was born on September 7, 1924 in Honolulu, Hawaii to an Issei father and a mother who was adopted by Caucasian Methodists in Hawaii. He recalls his grandfather instilling Japanese values and culture in him as a child, while his parents taught him the values of work ethic and sacrifice. These lessons would be put to great use. Daniel Inouye immediately rushed from his home to fulfill his duties as a medical volunteer at an aid station, disregarding his own safety. This would not be the last time Inouye would act in such a manner. 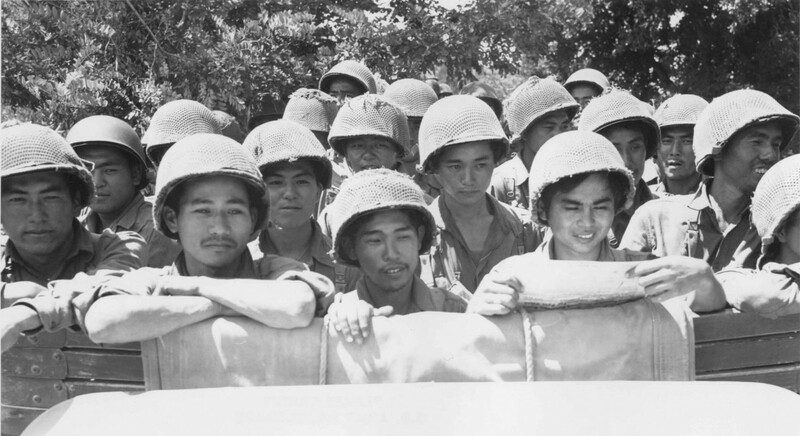 In 1943, when the Army began allowing Japanese Americans to volunteer for military service, Inouye enlisted and was assigned to the segregated 442nd Regimental Combat Team. One of his earliest memories of his time in the service is during basic training at Camp Shelby in Mississippi. Inouye was one of the Hawaiian Nisei soldiers that visited the incarceration camps in Rohwer and Jerome in Arkansas, a visit that was pivotal in galvanizing the Mainland Nisei and Hawaiian Nisei soldiers, who had been constantly fighting amongst each other up to that point. In his oral history interview, Senator Inouye went as far to recall that military leadership contemplated disbanding the 442nd RCT and scattering the soldiers across the country. That is a sobering thought because it is difficult to imagine how drastically different our nation’s history would be without the combined 100th Battalion/442nd RCT. While fighting in the Gothic Line campaign in Italy, 2nd Lieutenant Daniel Inouye would have perhaps his defining moment of the war, performing actions that would earn him a Distinguished Service Cross that would later be upgraded to a Medal of Honor. On April 21, 1945 while in the vicinity of San Terenzo, Italy (in Tuscany) 2nd Lieutenant Inouye eliminated three German machine gun nests with only grenades and his Thompson submachine gun. He did all of this despite being wounded in the stomach by a sniper’s bullet before even engaging the first machine gun nest and being shot in the right arm by an exploding grenade fired from a German soldier’s rifle. Mind you, this wound was even more gruesome considering Inouye still had a live grenade clenched in his right hand, which he could no longer control because of the injury. Obviously, the simple solution for 2nd Lt. Inouye was to peel the grenade from his clenched right fist using his left hand and complete the mission by destroying the last machine gun nest. He followed that by directing his men into defensive positions for an hour, all while still seriously wounded. I don’t even think Hollywood could write a scene that captures such heroism and sacrifice. Only Daniel Inouye could accomplish that through his actions. In his oral history interview recorded for our Hanashi oral history project, Senator Inouye recalled that his father always urged him to not bring shame upon their family. He followed with an anecdote recalling how so many of his fellow Nisei soldiers also expressed their desire to not bring shame to their families. It is safe to say that Senator Daniel Inouye, along with his fellow Nisei veterans, accomplished that goal with great success. Go For Broke National Education Center is now on Instagram! Please follow our profile @gfbnec to keep up with the latest happenings of Go For Broke National Education Center and the Defining Courage exhibition.